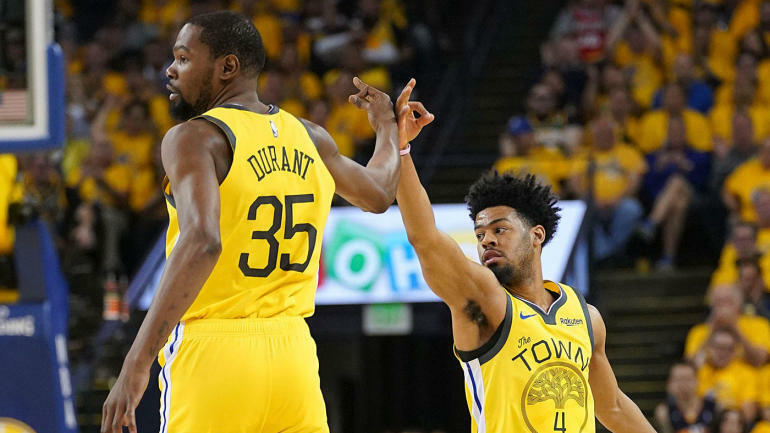 After a busy weekend of Game 1s, with four games on each day, the 2019 NBA playoffs slowed down a bit on Monday night. There were just two games on the schedule, one in the Eastern Conference and one in the Western Conference. Starting things out, the Philadelphia 76ers made a statement by blowing out the Brooklyn Nets in Game 2. After leading by just one point entering halftime, the Sixers tied an NBA record by scoring 51 points in the third quarter. They eventually defeated the Nets 145-123 to tie the series at one-all. In the second game of the doubleheader, the Golden State Warriors suffered what could be a major loss when DeMarcus Cousins exited Game 2 early due to a quad injury. The former All-Star center will undergo an MRI examination on Tuesday.